Tense horror film about a supernatural entity that lives in the shadows. The film effectively taps into childhood fears. The film lacks the explicit gore of many horror films, but compensates with lots and lots of scares. Available October 25. Refreshing, slightly odd, but immensely entertaining, “Captain Fantastic” tells the story of a large family living off the grid in the mountains of Washington state. Viggo Moretensen shines as a complex father who is forced to bring his six children into contact with the outside world with the death of his wife. Available October 25. Three overworked mothers (Kristen Bell, Mila Kunis and Kathryn Hahn) throw off the shackles of family life for a stint at debauchery. “Bad Moms” proves that the girls can get as dirty as the boys, and it’s a pretty wild and entertaining journey (but definitely not for the kids). Available November 1. 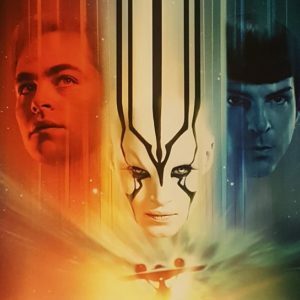 The latest Trek film offers an immensely entertaining ride. A ruthless new enemy threatens to destroy everything the Federation stands for—unless Jim Kirk and the crew of the Enterprise can stop him. 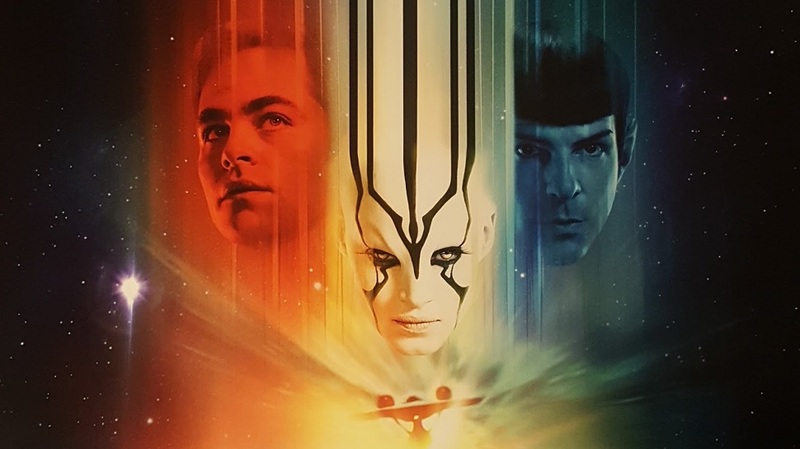 The film nicely balances the large cast, including an outstanding addition in actress Sofia Boutella, who plays an alien that assists the crew. Available November 1. This excellent WWII thriller tells the tale of Operation Anthropoid, a mission to assassinate Nazi SS General Reinhard Heydrich by the Czech resistance. The film, which stars Jamie Dornan and Cillian Muprhy, takes a little while to get going, but builds to a gripping finale. Available November 1. Kevin Spacey plays a billionaire who gets trapped in the body of a cat. A nice cast, including Spacey, Jennifer Garner and Christopher Walken, are saddled with an unimaginative script, making “Nine Lives” strictly for the kiddies. Available November 1. Looking for other Halloween offerings? TDS TV on Demand offers a bunch of other horror films to satisfy your fright needs, including: “Within,” “Ghostbusters,” “The Purge: Election Year,” “The Shallows” and “The Conjuring 2”. Looking for a steady stream of Halloween films for the whole family? Freeform is running films every day through Halloween. “Adam’s Family Values,” “Scooby-Doo,” “Halloweentown,” “Dark Shadows,” “Sleepy Hollow,” “Sorcerer’s Apprentice,” “The Goonies,” “Hocus Locus,” “The Nightmare Before Christmas” and many others. October 24 through October 31 on Freeform. For a little more adult Halloween fun, AMC’s “Fear Fest 2016” offers up a slew of horror films. 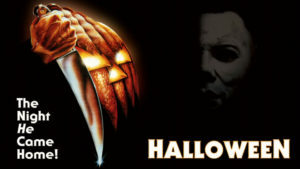 The slate of movies includes “Cujo,” “Carrie,” “Rosemary’s Baby,” “Tremors,” “The Mummy,” “The Exorcist,” “Hellboy,” “Fright Night,” “and a slew of “Friday the 13th” films, the “Halloween” films, and the “Nightmare on Elm Street” flicks. October 24 through October 31 on AMC. Matt LeBlanc returns to network TV in this sitcom about a contractor who has to become more involved with his three children when his wife gets back into the workforce. Series debuts on Monday, October 24, on CBS. Joel McHale (from “Community”) stars as a rugged adventure writer who is forced to manage his magazine’s social media department (and the wacky millennials who populate the department). It’s an engaging generational comedy highlighted by veterans McHale and Stephen Fry. Tuesday, October 25, CBS. The Fall Classic gets underway as the Cleveland Indians and the Chicago Cubs battle off. This year’s affair features two long suffering teams – the Indians haven’t won a title since 1948 and the Cubs since 1908. Series begins Tuesday, October 25, Fox. Adam’s love of Stephen King inspires him to write a horror story. “The Goldbergs” continues to mine the inner 1980s inner geek culture for maximum laughs. Wednesday, October 26, ABC. This new medical procedural stars Dermot Mulroney as a controversial surgeon recruited by a tech mogul to open a new cutting-edge hospital. Thursday, October 27, CBS. Six-part Victorian horror series about man and his wife who encounter supernatural forces in rural England. Thursday, October 27, BBC America. The Kennedy Center awards its 19th Mark Twain Prize on one of Hollywood’s greatest funnymen. The star-studded affair includes Dan Aykroyd, Aziz Ansari, Bob Newhart, Bill Hader, Jimmy Kimmel, David Letterman, Brian Doyle Murray, Paul Shaffer and Sigourney Weaver. Friday. October 28, PBS. No Halloween is complete without an appearance by the Great Pumpkin. Celebrate the 50th anniversary of the classic “It’s The Great Pumpkin, Charlie Brown.” This year’s special includes the bonus cartoon, “You’re Not Elected, Charlie Brown,” which features the Great Pumpkin. Friday, October 28, ABC. Looking for something new for Halloween? Give SyFy’s original “The Night Before Halloween” a try. Bailee Madison stars in this tale of a teenager who must fight against the Curse of the Carver. Saturday, October 29, SyFy. Cult favorite “Ash vs. Evil Dead” has been renewed for season three. TV legend Carol Burnett is returning to the tube in a new comedy, which will also star Amy Poehler. The untitled show is about a woman (Poehler) who agrees to buy an upscale house she normally couldn’t afford—but must let an aging actress (Burnett) reside in the home until she dies. “American Crime Story” has been renewed for a 3rd season by FX. Season three will focus on the murder of designer Gianni Versace. “The Walking Dead” just won’t die. AMC has renewed the show for an 8th season just ahead of the season seven debut. Amazon has renewed “Bosch” for a 4th season. CBS will produce a 13-episode thriller titled “Salvation.” The show deals with an MIT grad student who discovers that an asteroid is just six months away from striking the earth. Watch for “Salvation” next summer.